I have to admit it.. I am a little obssessed with Mottisfont Abbey! I first visited the National Trust site back on the 21st of April and after the most perfect day I decided to become a member (under 25’s yearly membership fee was £27 and I was just so happening to turn 25 years old the coming week!) 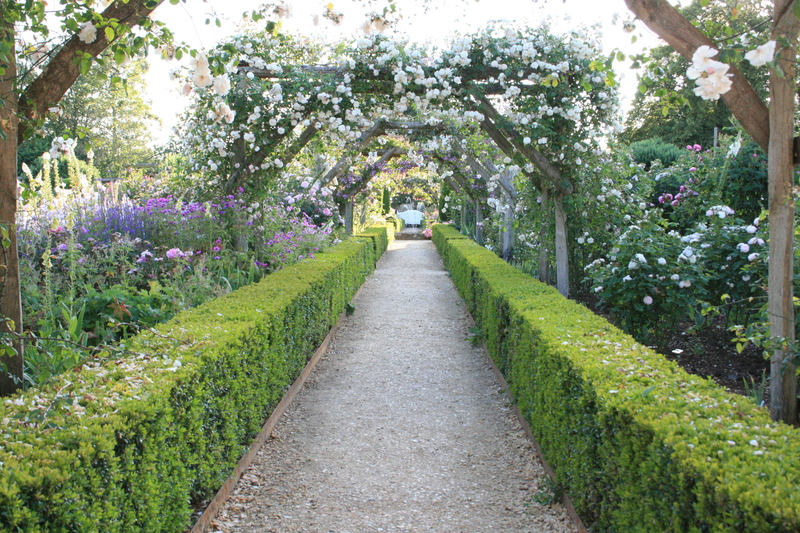 Since then we have visited Mottisfont 5 times and I am still in love with the walled garden. 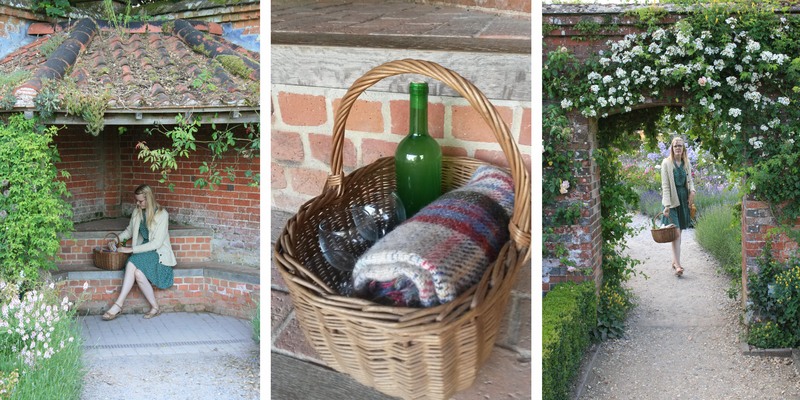 Another great advantage is the distance, Mottisfont Abbey is a 15 minute car journey away from us so it’s no trouble just popping into the grounds for a picnic and a quick look around the walled garden. 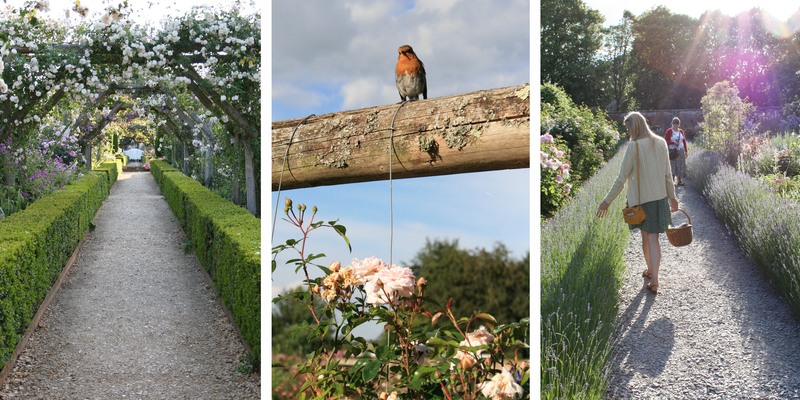 Late opening times have also given us a great opportunity to see the gardens in a different light and of course all the roses are in full bloom this time of year so really we couldn’t resist. We popped down on the 25th of June, it was a glorious sunny day and we wanted some inspiration and to try and pick out a rose for the front garden. It was also an excuse to try out my homemade elderflower champagne which had been brewing ontop of the fridge for the past 14 days. I packed a little wicker basket with some wine glasses, a bottle of the champagne and a blanket. We found a lovely lawn in the walled rose garden to sit on and carefully popped the cork, I’m glad to say the champagne was a success! It wasn’t as fizzy as I had expected but it had bubbles and it sure tasted delicious. Surrounded by beautiful flowers and drinking homemade elderflower champagne in the sunshine, life couldn’t get any better then that! Alas my parents didn’t buy a rose for the front garden but they came away very inspired, with a long list of favourite flowers and plants. It looks like a trip to the garden centre is in order and then the front garden is going to get a make over Mottisfont Abbey style! Discovered your video on youtube last week. And have really enjoyed watching the posts. Have caught up now and am looking forward to the next installment. I have a small inner city lot where I mainly grown flowers, although I have had good puck with container growing tomatoes, peppers, basil and rosemary. Keep up the good work. Enjoy your videos.